The Burton Mystery is the Method renamed. It looks like the Method and acts like the Method. 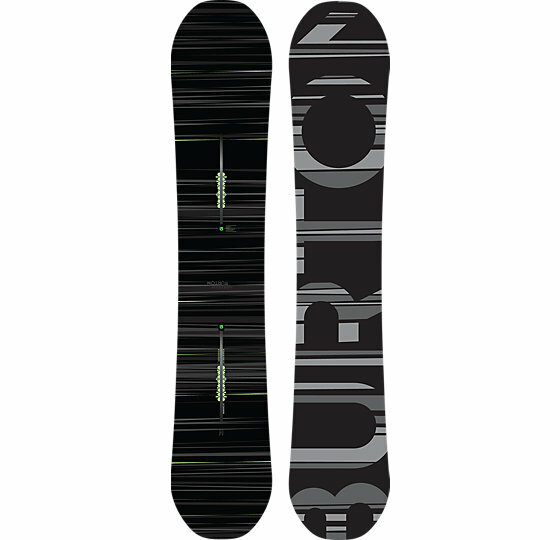 It’s incredibly light and really easy to ride but it has the same issues as all of Burton’s hybrid rocker boards do. The Mystery is also excessively expensive and it should perform sexual favors or at least rub your feet on the chairlift. 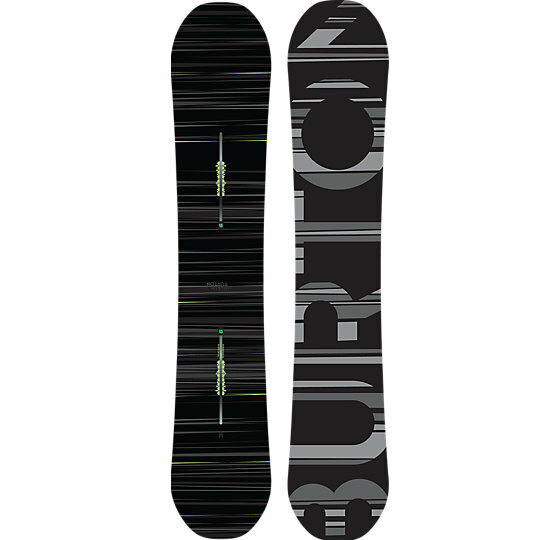 These boards are made to allow Burton to push new tech so you are paying for trickle down. On Snow Feel: It’s a little more stable than the other hybrid rocker boards in Burton’s line but it still has the same Flying V profile. Groomers are going to be fun at normal speeds but the faster you go the more the chatter appears. This becomes more evident the harder the snow gets. Powder: On a powder day this can be more fun than you think a 12.5mm setback would be thanks to the additional bend up that Burton’s hybrid rocker has. It’s got very easy float bordering on excellent. Turn Initiation and Carving: Just isn’t quite 100% fun but you can do ok when the conditions are good for a hard carve. Short radius turns are really quick and snappy but I’d prefer to see it be a little less easy. Right now it borders on very easy and easy and I’d rather see it border on easy to moderate so turns are a little more friendly to someone who likes to put a little leaner into each turn. Medium to Wide radius turns is good but not in line for what the price suggests. It’s better than any other flying V board though. Speed: The problem with the Mystery is the chatter and edge hold. 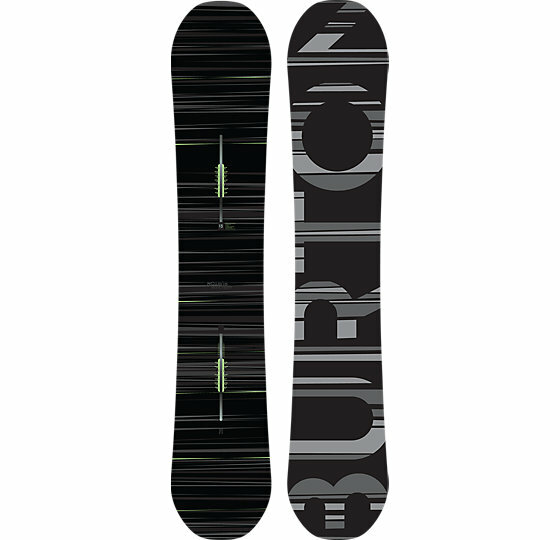 Uneven Terrain: Just like all Burton boards the Mystery Flying V is going to handle bumpy groomers very well. Edge Hold: The edge hold is a little better than most Flying V boards and it’s got a little more grip going on so it can handle a little harder snow. Flex: It doesn’t feel as aggressive as the Mystery Camber but it’s pretty close. It’s much easier to butter. Switch: The twinnish to almost directional twin-like shape isn’t bad to ride. Jibbing: Not really a jib board. Why would you take these precious edges in the jib park. Pipe: Better than most Flying V boards but the price tag doesn’t make this a pipe specialist. Jumps: The best part of the Mystery is the springy pop that’s set up with this board. It is really easy to ollie, really fun in the park and helps you create your own air. It’s also a great board when it comes to jumping in the park. All in all, if you have more money than God and only ride in Powder and the good conditions to follow after the Mystery could be an Arial delight all over the mountain. The harder the snow gets the more you won’t like this board though. We try to get as many images of the Burton Mystery Flying V, but forgive us if they're not all there. I wish TheGoodRide starts to review Mystery Boards again! Also, I wish TheGoodRide stops talking about whether Mystery Boards are worth the money or only drug dealers can buy them! Out of all sports, probably snowboarding is the only sport that "so-called" experts criticize the efforts of advancing technology and early-adopters that support such efforts. Golfers spend a few thousand dollars in gears just to reduce a few strokes. MTBs cost more than 10,000 dollars and people spend a thousand dollars just to upgrade parts. Even serious skiers spend a few thousand dollars to upgrade their gears. Experts in other sports support the efforts and celebrate technical advances in gears. Over the years, I have upgraded my boards from Burton Custom X and Flying V to Vapor, Mystery Flying V and Mystery Custom. I am sorry that Burton has stopped making Mystery Flying V because Flying V and Custom surely perform differently based on the type of snow. Is Mystery Custom much better than regular Custom X? But, it does make a difference especially when I ride down on a black diamond slope on icy snow! Do I appreciate the performance difference between Mystery boards and regular board? Is Mystery boards worth the money? I think websites like TheGoodRide should support boards like Mystery rather bashing them and stop talking if they worth the money! Boarders follow the advice from TheGoodRide. I have bought all of my gears from boards to goggles based on reviews by TheGoodRide. It is a shame that TheGoodRide stops reviewing high-end gears such as Mystery Boards only because it is expensive. In every sports, high-end gears are never intended for beginners. They are targeted for serious people who are willing to pay the money for a small difference in performance. I do play golf, sky and bike also, but snowboarding is the only sport that I spend money on every year to upgrade my gears. I posted the review above for Mystery Camber. I live in Asia and I still check the reviews on TheGoodRide before I upgrade my gears every year. Mystery Flying V does perform beautifully on thick, uneven powder snow. Mine is a 2014 version. I wish Burton makes a 2018 version next year. Response: You are right I should update this review because now that weed has been legalized in soo many states in the US I\'m not sure drug dealers can afford this any more.